No matter how much I plan or prep, I find myself in a pre-dinner panic almost every time we host. I’m opening and closing the fridge, wondering if I’ll actually have enough food. No one has ever gone hungry at my table and there’s always plenty of variety so surprise allergies or unannounced vegetarians are never a concern. That said, I’ve built an arsenal of “quick extras” that I can add to almost any menu. 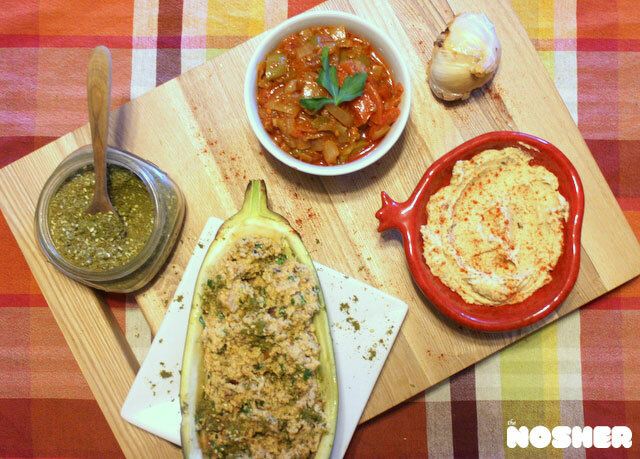 Anything from roasted chickpeas, grilled polenta or this eggplant dip which reassure me there will be enough food. 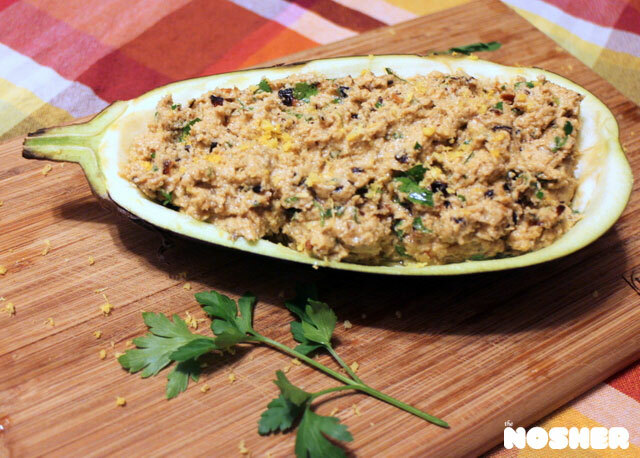 This roasted eggplant and garlic dip is quick, and when you serve it in the skin of the eggplant, it looks beautiful and impressive on the table. All of the ingredients are things that I typically have in the fridge, so when I get a last minute “can we bring two friends to dinner?” phone call, I never have to say no. Scoop out eggplant flesh and cut into cubes, leaving eggplant skin whole and uncooked. 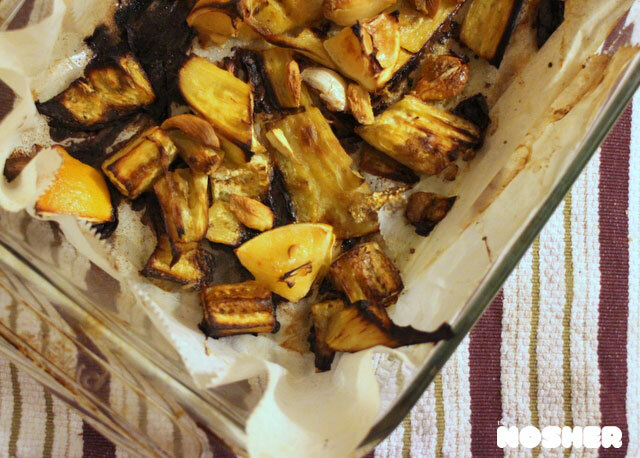 Place eggplant chunks on a greased baking sheet with garlic and roast for 30 minutes. Allow the eggplant to cool slightly. While it’s still warm, place in a food processor fitted with blade attachment and pulse with the tahini, parsley, olive oil and the juice and zest of one lemon until desired smoothness. Serve with other various salads and fresh bread.